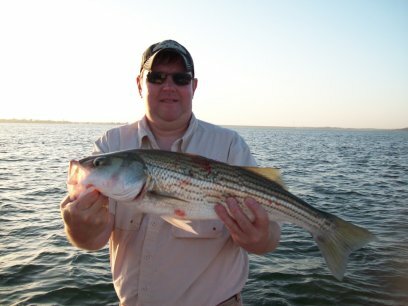 Although July was a fabulous month striper fishing Lake Texoma, the first week of August has been just as good. Lake Texoma water temp is 86-88 degrees and lake elevation is 617.31. 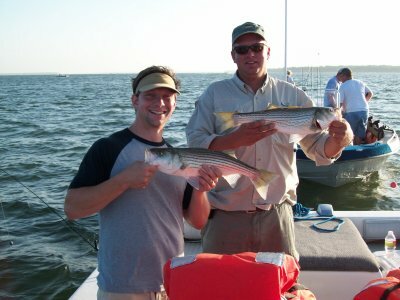 We're still fishing live bait (gizzard shad) and mainly fishing 65-80 ft of water. The morning feed has been incredible the majority of stripers being caught have been our 20" fish and over.